Pre-existing medical insurance for overseas coverage can be an obstacle for someone living or traveling outside the United States. Those residing in the U.S. now have great health coverage that covers all pre-existing conditions, albeit for a higher premium. What is a pre-existing medical condition? A variety of definitions are floating around but here is one that is used by many international medical insurance companies. A pre-existing medical condition is any Illness, Injury, sickness, disease, or other physical, medical, Mental or Nervous Disorder, condition or ailment that, with reasonable medical certainty, existed at the time of Application or at any time prior to the Effective Date of an insurance policy, whether or not previously manifested, symptomatic or known, diagnosed, Treated, or disclosed to the Company prior to the Effective Date, and including any and all chronic, subsequent or recurring complications or consequences related thereto or resulting or arising therefrom. So is that the end of the road? Are there any options for those that have or possibly have pre-existing medical conditions and want coverage outside the U.S. on an individual or family policy? There are options! Good Neighbor Insurance provides a variety of long term overseas insurance for those residing overseas for longer than a year. You may view these plans on our web page at https://www.gninsurance.com/long-term-international-health-insurance/#All_Plans. For those wanting travel insurance for trips from a few days to even up to a year we provide a variety of travel medical insurance plans. 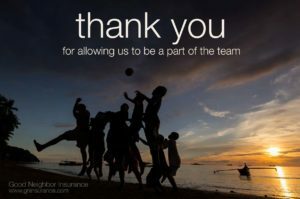 You may view these on our web page at https://www.gninsurance.com/international-travel-health-insurance-plans/#All_Plans. Which overseas medical insurance plan works best for those who may have or have pre-existing conditions and want them to be covered? Here are a few options. Traveling on a vacation or for a longer period of time up to 12 months We suggest the GeoBlue Voyager Choice and the GeoBlue Voyager Essential single trip plans, https://www.gninsurance.com/geoblue-voyager-choice-essential-single-trip-travel-insurance/. If you are traveling over two times a year outside the United States we suggest looking at the Multi-Trip Plan GeoBlue provides at https://www.gninsurance.com/geoblue-trekker-choice-essential-overseas-health-coverage/. Those who are residing overseas as expatriates would want to consider the GeoBlue Naviagator and the GeoBlue Xplorer at https://www.gninsurance.com/hth-geoblue-navigator-xplorer-overseas-travelers/#navigator.